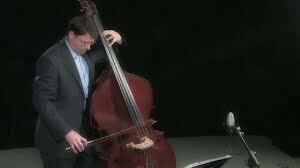 Clinician Biographical Information Anthony Stoops is associate professor of double bass at the University of Oklahoma, School of Music and co-principal bass of the Oklahoma City Philharmonic. He is an internationally acclaimed soloist, pedagogue, chamber musician and improviser who has performed in over a dozen orchestras including the Detroit Symphony Orchestra, Columbus, and Toledo Symphony orchestras under some of the finest conductors in the world. A prize-winner in numerous competitions, he is in demand as a clinician and recitalist having presented concerts and master classes throughout the world at venues such as the Paris Conservatory, the University of Wroclaw, Poland, the University of Michigan, and the Cleveland Institute of Music among many others. His students have been prize-winners in competitions, been placed in several leading graduate programs, and have gone on to rewarding careers as teachers of all levels, and as full-time performers in a variety of styles.